Web development is a rapidly evolving industry. Every once in a while, a new trend comes by and introduces changes that everyone needs to adopt in order to remain competitive. These trends encompass the use of certain development products, SEO strategies, and of course, web design trends. Nearing the end of 2015, we have seen plenty of trends come and go. For example, web developers used “under construction” images for pages that are undergoing changes or maintenance. We’ve seen it get replaced by the more apt “coming soon” message. There were also animated GIFs, glossy buttons, scrolling text, and flash player applets that gave some users the hourglass syndrome. For obvious reasons, these trends weren’t able to keep up with time as the preferences of internet users become clearer. On the other hand, there are proven design trends that will probably stay around for a while. If you’ve been browsing the web lately, then you should notice the dominance of plain layouts, simplistic shapes, and single-shade colors. First of all, flat design is still king, and it will probably be the same for 2016 and beyond. And for some reason, it’s been doing well for businesses big and small. Furthermore, going minimalistic when it comes to web page layouts generally improves the site’s loading speed and readability of content. Both of which are essential factors for optimizing user experience. Flat and minimalistic design has infected operating systems like Windows 10 and a myriad of mobile apps. If you are to review different content management systems like WordPress and Squarespace, you will also notice the rising number of flat themes made available for websites. Some of the known reasons why the internet loves this trend are speed, simplicity, and the capability of minimalism and flat design to highlight what really matters in a website – the content. It is also a lot easier for designers to plan a page layout that would work with a flat and minimalistic scheme. In case you were away or asleep when Google announced this, the volume of mobile searches has finally caught up and overtaken desktop searches sometime this 2015. As the mobile market continues to grow rapidly, more users are now using their smartphones and tablets to search for everyday things such as the translation for a particular French word, how to cook quinoa, or the nearest Starbucks branch. “It’s been a while since responsiveness was recognized as a key design factor for user experience and SEO, but now, it is simply foolish not to incorporate responsiveness in your website,” says Gareth Bull of Bulldog Digital Media. In addition to traditional websites, users are also growing more dependent on mobile apps to access widespread services, particularly social media. This includes Facebook, Twitter, Instagram, and so forth. If social media marketing is a focus of your online business, then you simply can’t have a website that isn’t optimized for mobile users. So whether you own a blog, a small SEO firm, or an eCommerce store, you should really consider optimizing your non-responsive site for smaller displays this 2016. It’s true that a lot of nifty websites were made with functions coded using the Java programming language. There is even a rise of job openings looking for Java programmers. Why? This is because those firms need someone to perform maintenance for their Java-dependent applications. On top of the performance and security issues, particularly with mobile apps and web browsers, there are also alternatives to Java that are recently gaining popularity, particularly Python and Scala. Python, for example, is much easier to learn and offers a more intuitive coding environment than Java. There is also Java’s time-consuming overreliance on declaring classes before codes or methods can be written and run. Java has been on a decline for the past few years, and it is foreseen that it will spiral uncontrollably downwards by the end of 2016 as more developers grow more accustomed of other alternatives. Time is of the essence for online marketing in 2016. And to accommodate the need for proactive marketing efforts and online business strategy, new apps that work in real-time are on the rise. One of the most important implementations of this is the arrival of real-time analytics in desktop and mobile apps. This enables entrepreneurs and bloggers alike to stay ahead of their business from anywhere and anytime. 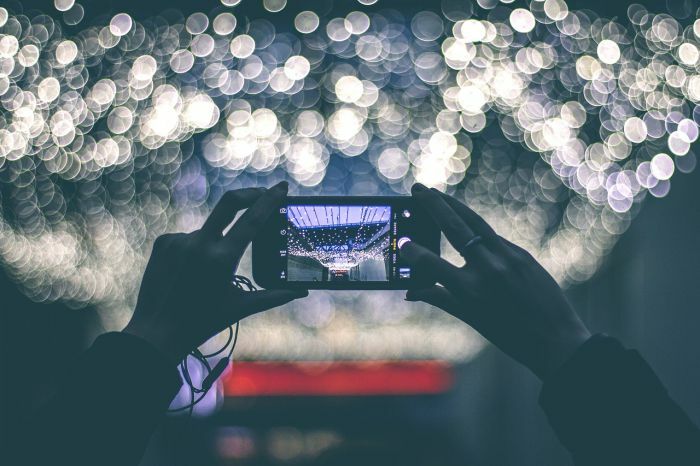 Additionally, livestreaming has been gaining traction in the social media marketing scene with apps like Meerkat and Periscope. So you can be sure that in 2016, you’ll have 24/7 access to your online presence right in your pocket. Although using containers has been around for a while, it wasn’t really a hot topic in web development until the debut of the startup known as Docker. Docker is a container service that allows the rapid deployment of software within an isolated environment. One container basically has all the dependencies an application requires to run perfectly, regardless of the environment it is in. This means you no longer have to spend days on setting up things like virtual servers and hardware just to make sure everything runs smoothly. With these virtual containers, you can build, deliver, and run any app anywhere. Ultimately, this makes tests, deployment, and development significantly faster. 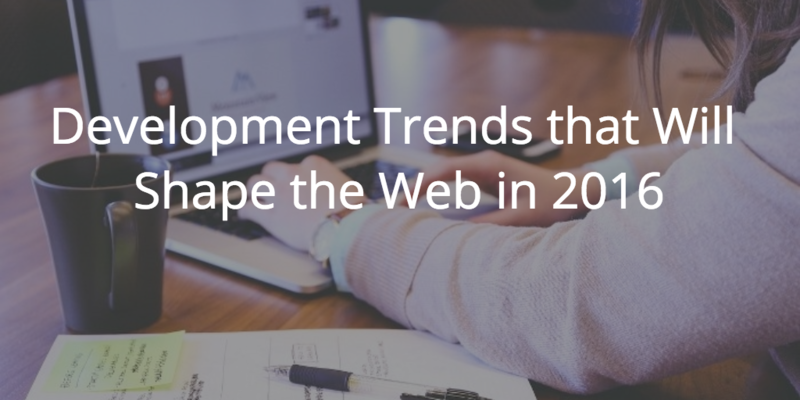 Do you know of other breakthroughs and trends in the coming year for web developers? Share your thoughts by commenting below!